Continuing our look at the value of print marketing in an ever increasing digital age, this week we will be taking a look at direct marketing. One of most common dismissal we hear is that “Big business doesn’t do that anymore” – but try telling that to BT and Virgin Media who constantly send through offers and deals via mail to existing and new customers! As we discussed last week, print marketing does not have to be a standalone element of your marketing mix. Integrating digital and physical print will lead to more interest in your products and thus, higher conversion rates. Half the battle in any marketing campaign is getting your offers and services to at least be seen by your target audience. Email shots are great at getting to wide number of people very quickly, offering direct tracking and easy access to your website or landing page. 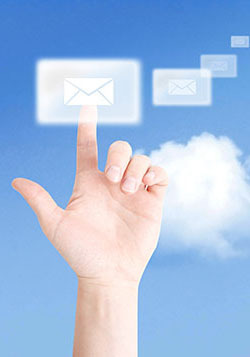 What an email campaign can’t overcome, however, is an overcrowded inbox. Let’s face it, given the amount of communication that arrives into our personal and professional email accounts, keeping on top of it is far from easy. So, we tend to prioritise the importance stuff over those we can perhaps come back to another time. What tends to happen is those ‘Read later’ emails pile up to such an extent that they are usually shoved into another folder and never read at all, or just deleted in one fell swoop. Given the amount of time and effort put into crafting your finely honed sales message, that is a bit of disaster, which is why conversion percentages are usually so low on email campaigns. A 20% open rate is usually seen as a good average. Of course, people throw away printed mail too, but a Royal Mail study revealed that more than half (56%) of consumers say they are likely to spend a lot of time reading mail compared to email. This is mostly because email is seen as quick and informal and mail is felt to be believable and reliable. It stands to reason that with more people actually viewing your printed mail, the higher numbers you are likely to see at the final stage of the sale. This doesn’t mean you have to ditch one for the other. There are a myriad of ways you can complement your mail campaign with email marketing and vice versa, and with more channels opening doors for discussion, the more likely you are to see tangible returns. A direct marketing campaign also allows for greater flexibility that will suit the company’s size and allow for scalability in budget. If you quickly want to generate some interest in a new product, then distribution of coupons is a fantastic way to develop a short term strategy to create some initial buzz. E-Newsletters have become increasingly popular over the past few years but printed versions have also retained their value, sent through on a monthly or quarterly basis to their customer base. This also provides a way to gain direct feedback from your customers, asking them to fill out a short form or questionnaire, and this sort of information is valuable gold dust for any company. While sending e-mail shots does offer a particular level of tracking, beyond a certain point it becomes harder to identify what exactly your customers are responding to. You may experience bursts of activity in or around a specific campaign, resulting in more purchases and/or registrations. But if you are utilising a number of digital channels at the same time, narrowing your success back down to each stream becomes difficult. Direct marketing allows you to track exactly how many you send out and with specific codes attached to each one, you can accurately see how successful the campaign has been. Sending out a newsletter, leaflet, brochure or similar, encourages people to not only engage with it but that they do something with it. Of course, that may mean throwing it away but if the sales copy is engaging and you have conducted the right research beforehand, you are far likelier to have a positive response. 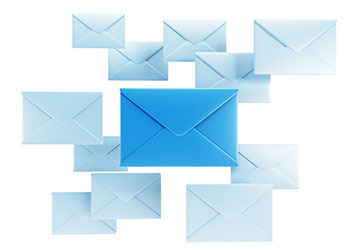 The advantage direct mail provides is that it is brought into the home, taking up a place in the living room, bedroom or kitchen, becoming far more personal than receiving what can feel like a generic email stored away on a device they may not often look at frequently. An issue with an email campaign is that, as the Royal Mail study mentioned above alluded to, they are viewed as informal and quick ways of receiving information. This means engagement level is far lower and it is easy to become distracted away from what it is the company is trying to sell. Whether it’s because of work emails, or interaction with social media, attention spans are notably shorter when using digital devices, which means the window of opportunity to keep the customer interested becomes even smaller. In addition to the personal touch of having a tangible product for your customer to touch and feel, ensuring you have stand out designs that are eye-catching also adds that little bit more of intrigue from your customer’s perspective. You can also send out seasonal campaigns using the associated colours that will pique their interest and make sure your mail stands out from the normally plain white style they will have in their hand. For example, if you send out something akin to a Christmas card in mid-December, most people are not going to just throw those away. Everyone wants to receive a card, so the chances are it will be opened up to reveal your message. The shapes and sizes of what you send out can also vary greatly, which only adds to your marketing armoury. And if you have the budget, sending out things like pens or notepads ensure your branding becomes a permanent reminder in the home or office space. The Personal Touch Counts for more! Do more for your brand awareness. Let’s help you with your objectives.